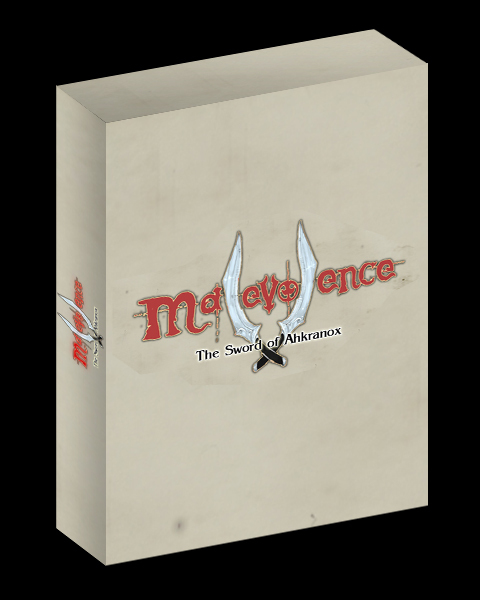 Malevolence: The Sword of Ahkranox is a procedurally generated, turn-based first person roguelike set in an infinite world with infinite environments, items, weapons, spells, potions, cities, NPCs, quests and even dialogue. It's being made out of Australia, but involves a team of people from all over the world. We keep a regularly updated development blog on BlogSpot, as well as maintain an official Facebook Fan Page and Twitter Feed, which I heartily encourage you to join if you're on those networks, as we keep them regularly updated with info about the game! 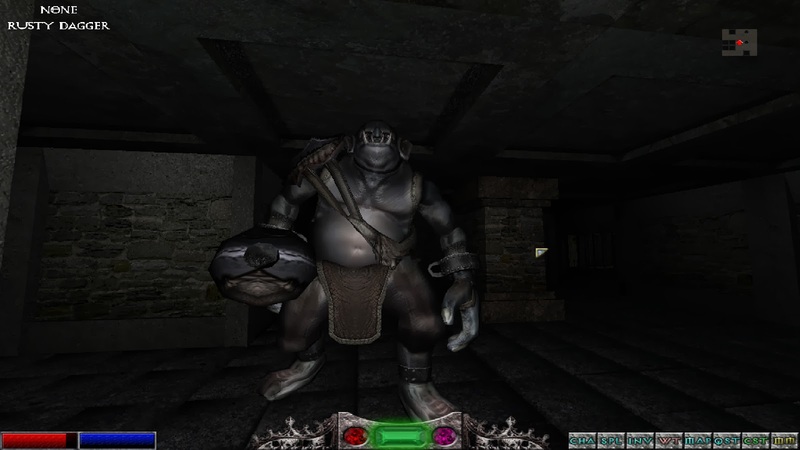 "A 3D roguelike? Shut up and take my money!" "Best game i have EVER seen on this site"
"Freaking gorgeous! Best-looking roguelike ever." "Just divorced skyrim.. Marry Me!!!" "You guys are a constant inspiration to indie devs everywhere"
"I have never been so impressed. This is AMAZING work"
"This engine just blows my mind"
"With every article you guys post I want to play Malevolence more and more"
"When can I start giving you money? Please, take my money!!!" "A system shock 1 like interface and an elder scrolls feel... I love it!" "Dont ever stop! This game looks absolutely beautiful in all three of my main ways: Depth, Detail and Beauty!" "Wow, this game looks like it has definite promise!" "How did i not find out about this sooner?" "ARGH SO HARD TO WAIT!!!" "This game looks awesome! Brings back so many memories." "I hate rpgs, but this looks AMAZING"
"Infinite items, infinite world, infinite quests. Guys, I think I'm in love!" "I KEEP THROWING MONEY AT THE SCREEN!!!! WHY IS NOTHING HAPPENNING?????" "I think I may have just done a little love wee. " Anyway, I hope you like it! And remember to please join the social networks to follow our development! Hi all! We're back and almost ready to push out the Christmas update, which will - among other things - introduce the new Shaderless gameplay mode! 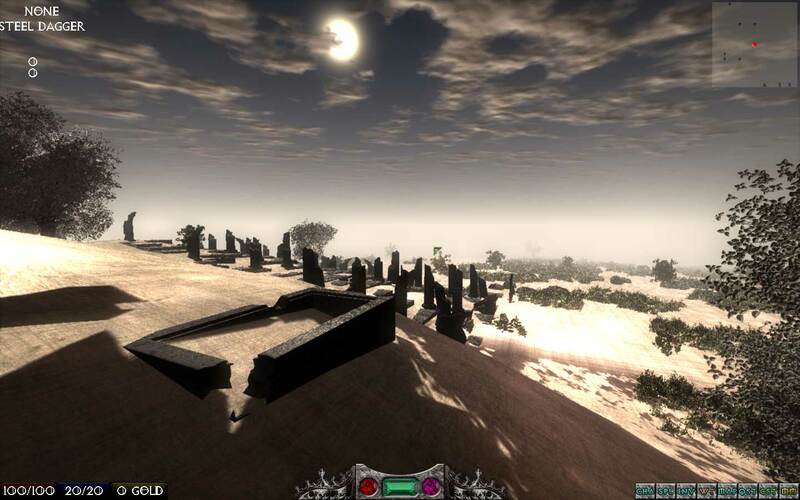 Not everyone has the most up-to-date PC and Malevolence is a pretty power-hungry game, so for those who have trouble getting the game to run at nominal speed, the shaderless mode will make the game FLY. Seriously, we've had it running on a Celeron laptop with onboard video at nearly 50fps. It's quite a far cry from what the game looks like normally! In addition to this, we were lucky enough (thanks to your generous votes) to be nominated for Indie Game of the Year this year! Now it's coming to the end of the final voting on the nominees and we'd love to get your support once more. If you can please click the vote button up above once more and give us your support once again, that would be great! And don't forget to share the link everywhere, as I think there's only about a day to go! Anyway, we're pushing this update out within the next 48 hours, so we hope you enjoy it! Once it goes out, our team is having a short break over Christmas and then we'll be getting to work on finishing the procedural quest system ready for release! Merry Christmas, lads and ladies! I hope you have a wonderful end of year. Don't drink too many bottles of Blatherbeard's Brew! We've been Greenlit on Steam! And, we're still struggling to comprehend the awesomeness of that fact! We're back again with the Indie Game of the Year Awards! Here's an update on what's been happening in the world of Ahkranox. This is an update to the Malevolence Launcher to allow for manual selection of offline mode play. Is this game still being developed? Bought the games 6 month ago. I still not regret it . Just don't forget desura too ! i like to play that game while I download other games. Man, So excited its finally Greenlit! I've followed your game since the beginning, and I have to say, its come a very long way! Now Im pummed for the official release so I can get my friends to buy it on Steam! Incredible this hasn't been greenlit yet. I still want it so badly. And we're very excited about it! WOOO!!! Congratulations, hopefully I will have Time and Money when it comes out. BTW. Are you guys thinking about a GOG.com Version?